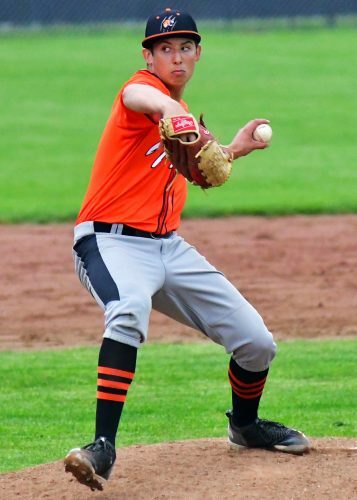 The Warsaw baseball team went 1-1 in its own Tiger Tournament. The Tigers started off the day with an 8-4 win over Fort Wayne Snider. Warsaw scored a pair of runs in the first, one in the second, three in the fourth and one in the fifth to build a 7-0 lead. Snider scored all four of its runs in the sixth frame. Brendon Perry led the way for Warsaw with three hits. The Tigers outhit Snider 13-8 in the win. Caden Bowers notched the pitching win as the starter went 51/3 innings. Warsaw then lost to Penn 14-1 in five innings in the championship game. The Kingsmen scored seven runs in the first inning en route to the dominating victory. Penn outhit the Tigers 12-2 in the title game. Michael Nunez took the loss for the Tigers on the hill. Warsaw will face Penn next Thursday night in the Class 4-A Penn Sectional. Warsaw, now 6-16 on the season, will play at Homestead in its regular-season finale Monday night. The Warsaw softball team dropped a 5-0 final to Manchester. 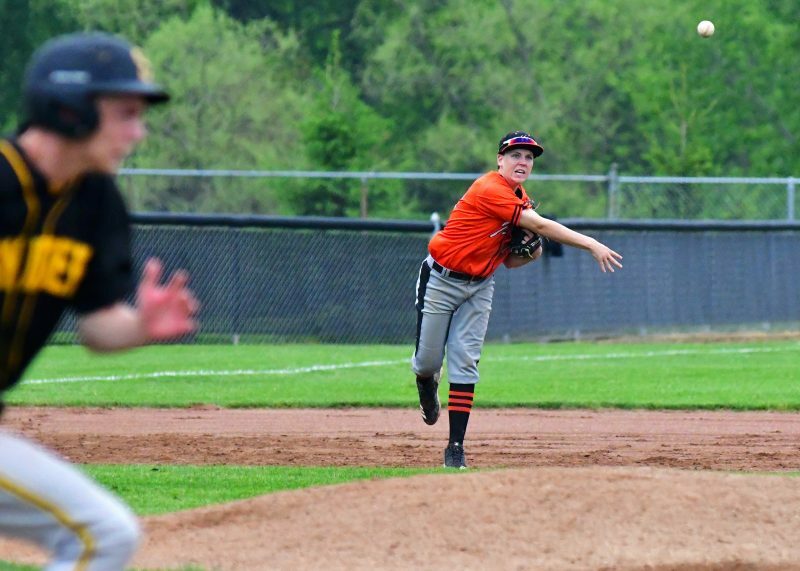 The host Tigers managed just two hits in losing the non-conference game on Senior Night. Mattie McKee fired a two-hitter in the circle with four strikeouts to pace Manchester. 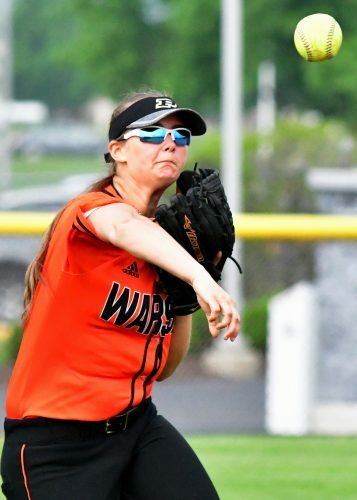 Courtney Chookie took the loss for Warsaw as she allowed five runs on eight hits in seven innings of work with four strikeouts and no walks. Senior Saylor Bradley had a double and Chookie a hit for the Tigers. Manchester scored twice in the fifth inning and three more times in the seventh in the win. Ali Sites had three hits for the Squires, who did not commit an error. Warsaw had four miscues in the loss. Warsaw, now 10-14, will play Elkhart Central Monday night at approximately 7 p.m. in a first-round game of the Class 4-A Elkhart Memorial Sectional. The 5:30 p.m. opener at Memorial Monday pits Memorial versus Goshen. Senior Saylor Bradley makes a throw from the outfield Saturday evening versus Manchester. Caden Bowers got the win versus Snider.